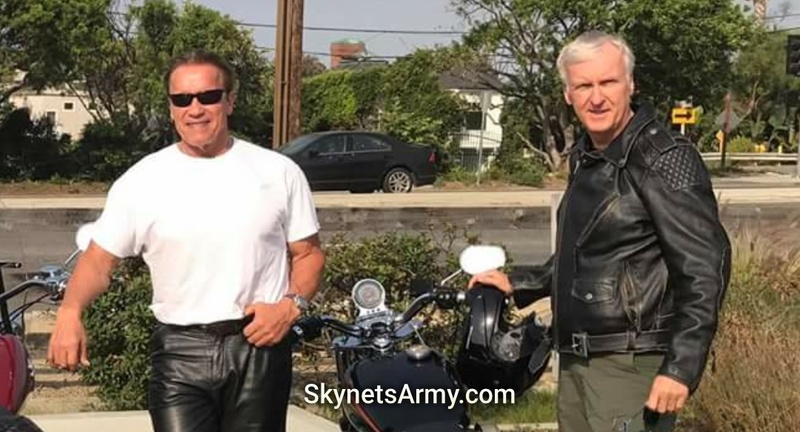 Did James Cameron and Arnold Schwarzenegger talk TERMINATOR during a Harley motorcycle trip today? Ralf Möller, a German-American actor and former competitive bodybuilder, is well known for starring in the television series “Conan the Adventurer” as well as Hagen in the epic Russell Crowe movie “Gladiator”. 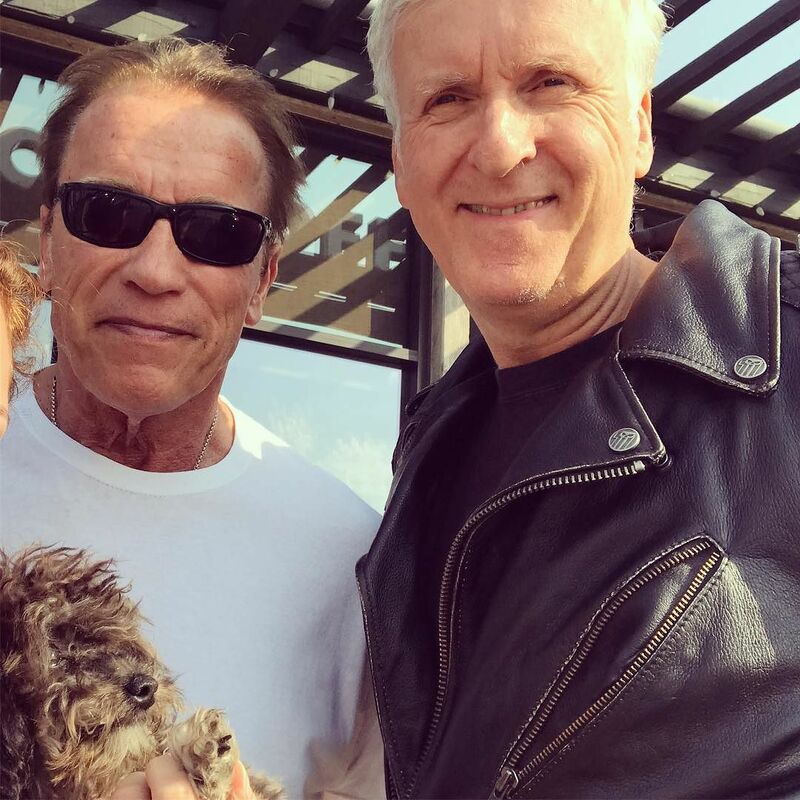 But what many people might not know is Ralf has a very close friendship with worldwide superstar actor Arnold Schwarzenegger. 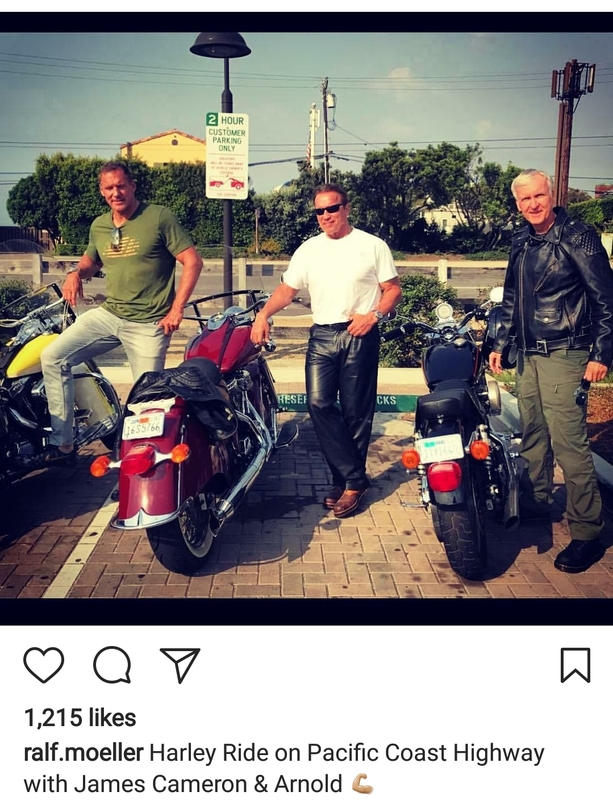 So while it was no surprise to see Ralf post on his social media pages today that he took a motorcycle ride with Arnold, what was indeed surprising is the Terminator creator James Cameron was with them too. 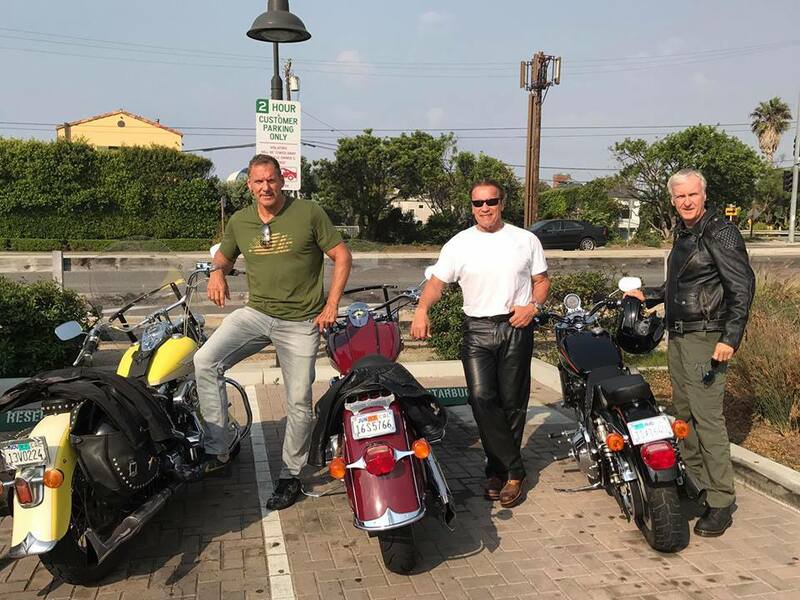 Here is one of Ralf’s posts revealing that he, Arnold and Jim were riding Harley Motorcycles on the Pacific Coast Highway. 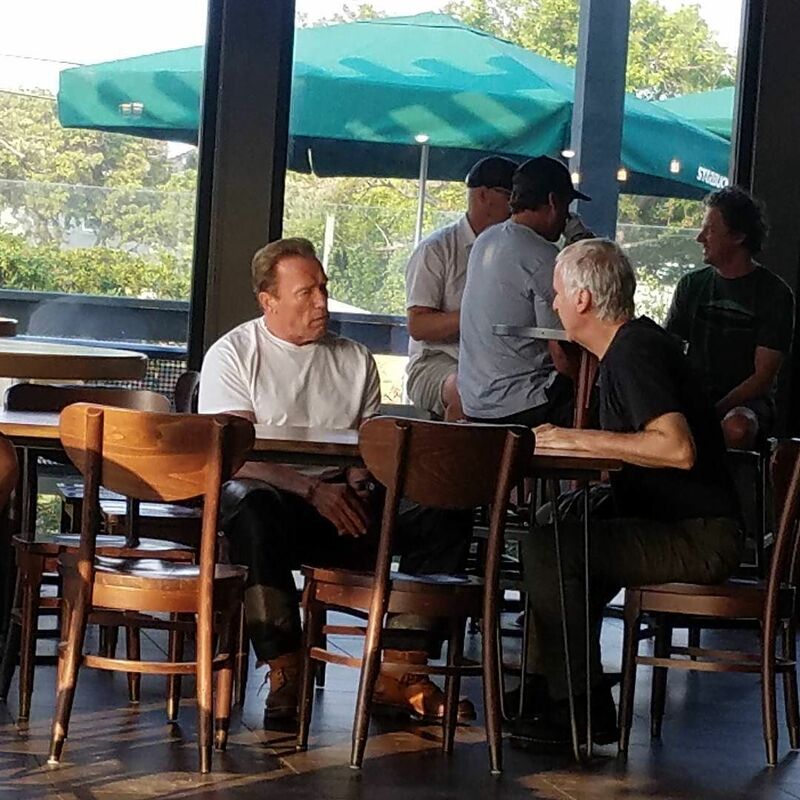 So is it possible that during food and bathroom breaks, the topic of conversation could have been Terminator 6, Terminator 2: Judgment Day or both? And it might be a stretch, but could Ralf Möller also be involved with T6? It’s all speculation at this point, and this could have been just a friendly motorcycle ride, but James Cameron’s time is very limited now that Avatar 2 has started production. So could this trip involve not just some fun, but some Terminator business too? It certainly is possible. Previous PostA New “TERMINATOR 2: JUDGMENT DAY” Mobile Game has been released!Next PostPackaging preview for the CINEMACHINES Die Cast “TERMINATOR 2” HK-Aerial and HK-Tank!